Sentinel-2 acquired an image of the Cordillera Vilcanota yesterday, 11 days since their previously-published image (via EO Browser)... and fresh snowcover is still widespread. Compare these two identical scenes, from 3 August (upper) and the last time snowcover was restricted to the highest elevations, on 30 May (lower) - two months ago! 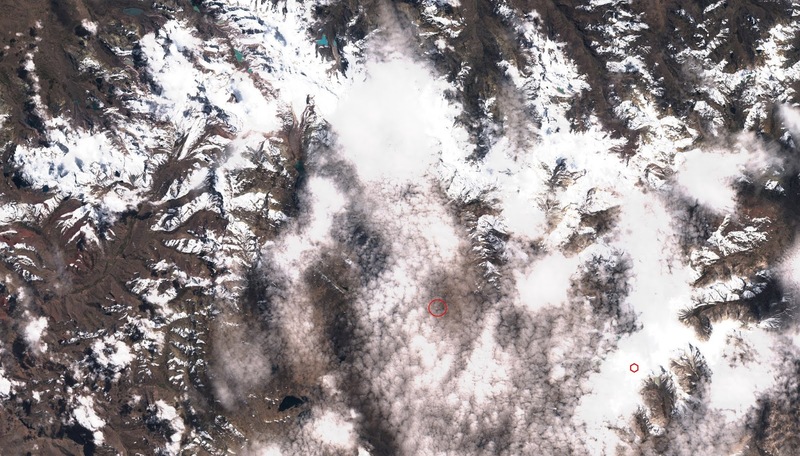 The community of Phinaya, where many alpaca and llama herders are based, is located within the red circle. During June and July, snowcover appears to have been only occasional at this elevation. 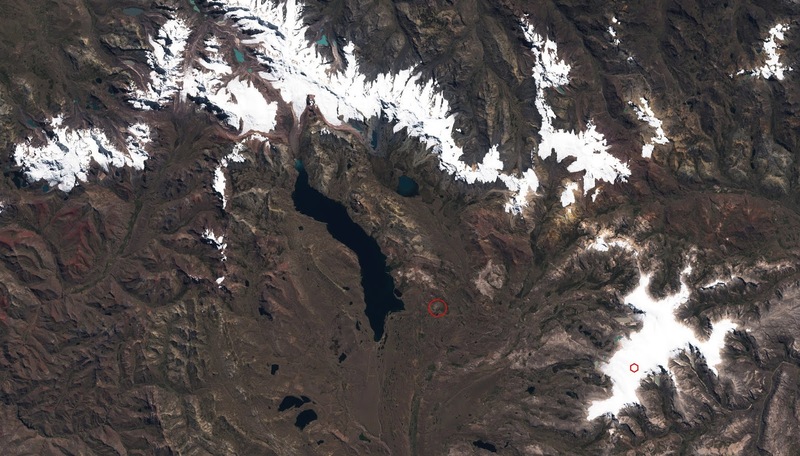 The smaller red hexagon is the Quelccaya weather station location (5,680 m), illustrating that the transient snowline has remained below the glacier margin (approx. 5,300 m) since May. Fieldwork begins in a week!